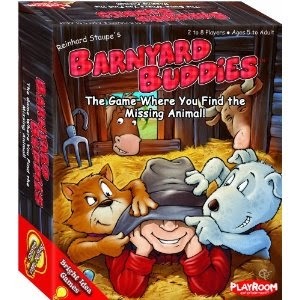 Barnyard Buddies - get it here! I received some generous game donations over the summer and need to catch up on writing product reviews! One publisher who contributed is Playroom Entertainment, a company that offers several preschool and family games that help develop logical and critical thinking skills. The first game I will be reviewing is "Barnyard Buddies", a card game that capitalizes on quick cognitive skills. This game can be played with 2-8 players and is deemed appropriate for children ages 5 and up. The game consists of 50 cards - 25 animal cards and 25 herd cards. Each animal card has a picture of one of five farm animals in a different color. The herd cards contain four of the five different animals in different colors. It is the players' job to determine which color animal is missing on a herd card -- the winner is the person who figures out the most missing animals. To play, all of the herd cards are placed upside down in the middle of the table, while the animal cards are spread face up around the herd card stack. One player turns over a herd card and everyone tries to identify the animal that is missing as well as the color. Whoever manages to find the animal first, receives the herd card as a point. In the example to the right, the face-up herd card shows a yellow horse, purple cow, green cat, and red goat. 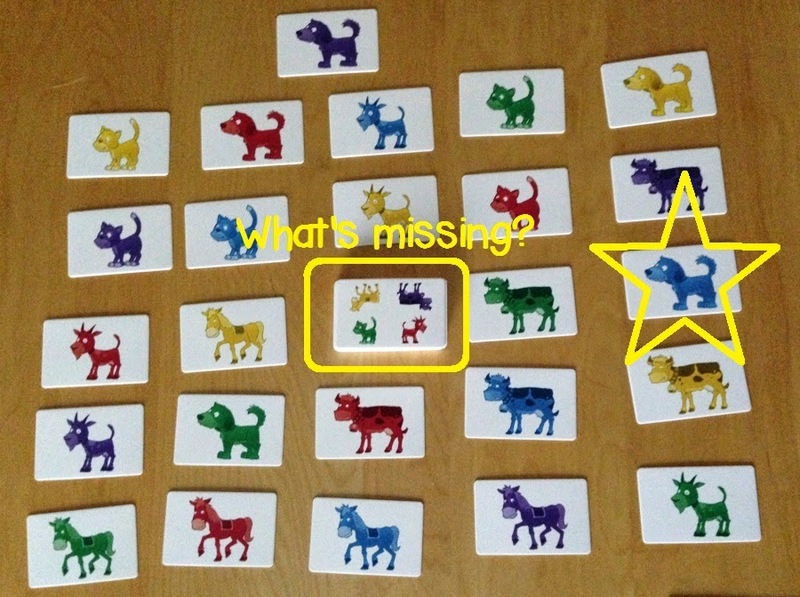 The missing animal is therefore the blue dog, since that color and animal are missing from the herd card. A nice variation to make the game more challenging is to play it "reversed": place the animal cards in the middle and scatter the herd cards around. Players then need to find a matching herd card for each animal card. The quality of these cards is very sturdy, which makes it a great game for little hands! I like this game because it is a great way to work on colors as well as promote logical thinking skills. 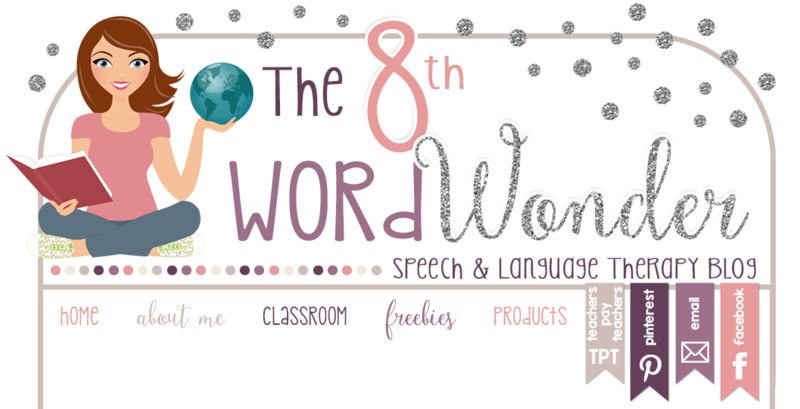 You can use this game for students who are working on exclusion and turn-taking as well. It would also make a great activity for a farm theme! Stay tuned for more great game reviews for this and other companies!